Boston, October 22, 2010 — It is entirely just that Victor Calderone continues to draw one of the largest Boston followings of any DJ. Last night at Underbar he played a two-hour set that, with only a brief exception, was the most inspired of the five uniformly sublime performances, in four different venues, that he has dropped on our city’s House Nation since 2005. 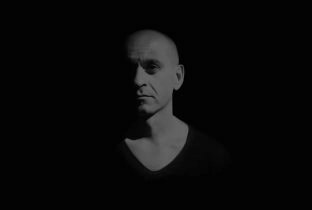 Calderone’s sound has changed.He was once known for hard, punching tribal rhythms, but during the past year he’s developed a smooth, dreamy texture,a kind of magic-carpet-ride. In that vein he began his set at Underbar, reminiscent of his most recent Boston set, at September 12th’s “End of Summer” outdoor party at Quincy’s Ocean Club. As at Quincy, his soft and shiny new sound– typified by his track “Boarding Pass” — progressed smoothly in easy-going overlays and carefully mixed drop-ins. Soon, however, he proceeded to complicate his sound; to thicken its textures; and to inject delicate metallic sounds reminiscent of a drummer brushing and tapping cymbals. These he mixed with fancy foot-works, more detailed than the tribal bash he used to do, but all of it mixed with the beguiling smooth touch at is his signature. Even Calderone’s single-board mixes delivered persistent surprise and interest. From the glide paths of his beginning segment his rhythm seemed to roll and tumble — as old blues men used to put it — a mixture of easy-sliding overlay mixes and fiercer, more clashing quick cuts. As he broke up the roll or the tumble, with cymbal and slash drum pauses, so the cymbal and slash echoed the ping and zip of his roll and tumble. Different the tone, cross-current the motion, but all of it the same feeling. And never a waver or misfire, except about five minutes of flatness at the beginning of his set’s second hour. The flatness Calderone resolved purposefully, as he revisited Noferini’s “Mama” sounds from an entirely different, almost comic angle. .His mixes began to crack up, an almost free form trick-makings of rhythmic process — as if he were inviting the dancers to break all the rules, including his. After all, if a DJ can walk directly through open doors fully wide, can’t he also angle himself sideways, or upside down, into the light ? Most DJs cannot, or don’t dare to. Calderone can, and did. Opening DJ Ralph Berr also merited the fully-packed Underbar floor’s attention. His opening set was one of the most imaginative I’ve seen there. Berr doesn’t have anything like Calderone’s decades of masterfuil tracks in his oeuvre, but he has “Make It Panic” and some others, and at Underbar he showed his stuff: samba beats, dream-scape noise effects, and a saxophonist’s hand pumping the mixboard’s repeater knobs to riff vocals and, occasionally, beats and effects. If Calderone has a jazz drummer’s view of human footwork and heartbeats, Berr has a horn man’s need to roar, rasp, croak, guffaw, and purr. His set moved from dreamy to daffy, and all of it found a welcome mark.